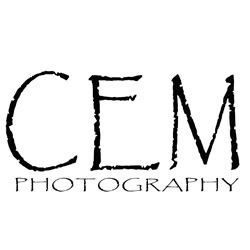 I'm Beth Meyers, Photographer and Owner of CEM Photography. Several years ago I dabbled in photography as a hobby. Then life threw me a curve ball and led me to a full-time career. Fast forward and CEM Photography is celebrating eight years of business in the Triad! In 2011, CEM opened it's first studio in Downtown Greensboro. Located at 620 S. Elm St. Suite 377. It's the perfect location to expand in and it has fabulous 16ft windows that are perfect for stunning natural light portrait sessions. I am a member of the Professional Photographer's of America (PPA) and the Professional Photographer's of North Carolina (PPNC). I have studied under Master Photographers at the East Coast School of Photography and graduated from the New York Institute of Photography. Today I spend my time with fabulous children, couples and families, photographing every aspect of their lives from wedding engagements to family portraits. I love the ability to capture that one sweet smile or that glint in a person's eye when magic happens. Giving you the memories that will last a lifetime. Life is made up of so many hurried moments. My mission is to slow the world down and to capture the small moments that mean so much more. CEM Photography has photographed all over the United States. North Carolina and Virginia are my favorite stomping grounds. My husband and I are always on the look-out for new places to travel to and we base alot of vacations around location portraits. This keeps travel fees to a minimum for you.